Breathalyzers... one of the few devices that are both lots of fun and totally practical. 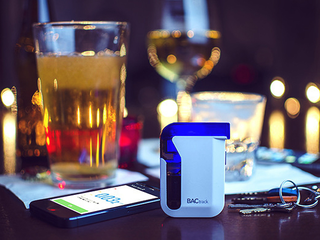 BACtrack’s Mobile Breathalyzer is one of the best consumer breathalyzers out there, giving you an accurate reading via the BACtrack app so you know if you’re sober enough to take the wheel. They’re normally around $200, but for a limited time, Jalopnik readers can grab one for 60% off - just $79 with free shipping.